The arrow located at the bottom right of the district calendar to the left of this message will open a new window.  From that window, click on the “subscribe” button and follow the instructions to sync the district’s event calendar with your android or apple device. You may subscribe to other calendars on our website, such as the “elementary calendar” by following these same instructions. A Title VI open meeting for all interested Native American Parents will be held in the Shidler Auditorium @ 3:30 pm on April 23. Shidler Schools expresses our thanks to Mayor Gullic and members of the Shidler City Council for their diligence and persistence in working with the Oklahoma State Department of Transportation for the new school zone lights. At the school, we have heard many positive comments from parents and community members and we want to make sure that credit is properly given to our awesome city officials. THANK YOU – City of Shidler. MAKEUP STATUS: Shidler Public Schools will NOT NEED to make up any snow days this year because we had extra hours built into our calendar. Please continue to enjoy Fridays as you have been. Stand for the Silent https://standforthesilent.org/ is a national organization started by parents of an eleven year old boy, Ty Smalley, from Perkins, OK who committed suicide after being bullied by classmates. The message delivered by Ty’s father is a powerful call to action to treat others more kindly and respectfully. Mr. Smalley’s message effectively conveys the harmful effects of bullying on others and ends with a message of hope; that we can all make a difference to end bullying by “standing up for the silent.” Shidler Schools will host a Stand for the Silent assembly for our students in grades 5-12 on Thursday, May 2 @ 9:00 a.m. in the Shidler Auditorium. Parents are invited to attend and are encouraged to visit the Stand for the Silent website to learn more about this program and anti-bullying resources. beginning with the 2021-2022 school year, a school district may adopt a school schedule lasting at least 1,080 hours with no minimum amount of days of instruction per school year if it meets or exceeds the minimum guidelines for student performance and school district cost savings established by the State Board of Education. 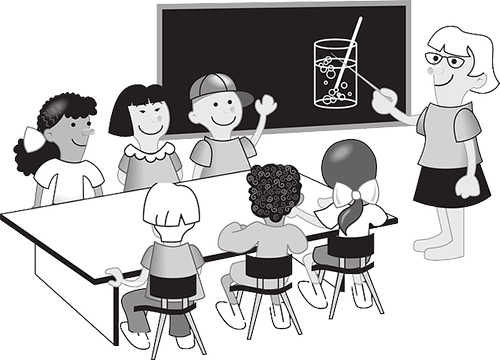 Minimum performance and cost savings guidelines would be determined by the State Board of Education and require approval of the Legislature prior to implementation. if a school adopts a school-hours policy with at least 165 days of instruction, the school must receive permission from the State Board of Education, but would not have to meet the minimum guidelines. the proposed $1,200 teacher pay raise previously contained in HB1780 has been included in SB441 and if passed, would begin September 1, 2019. 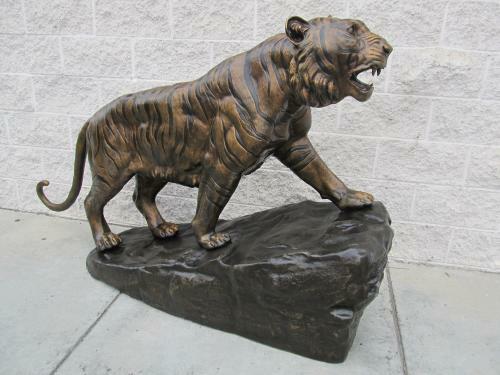 The public is invited to join our students and staff for an unveiling ceremony of the life-sized bronze tiger sculpture that has been donated by Dr. Delores Etter and her husband Jerry for the new high school entry. 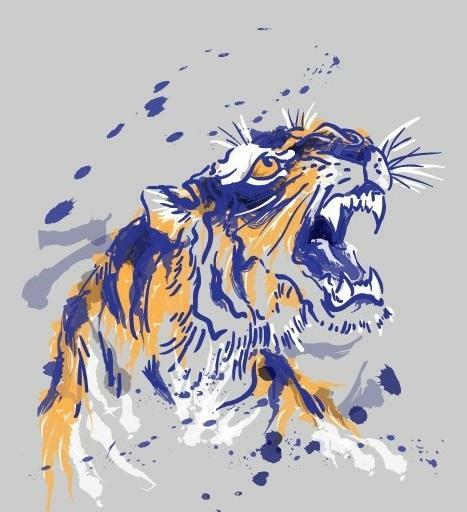 We are delighted that the Etters are traveling back to Shidler to help us celebrate the arrival of the bronze tiger. While she is in Shidler, Dr. Etter will also present monetary awards to our top achieving 3rd-12th grade math students and $1,000 scholarships to all graduating seniors who plan to continue their educations beyond high school. 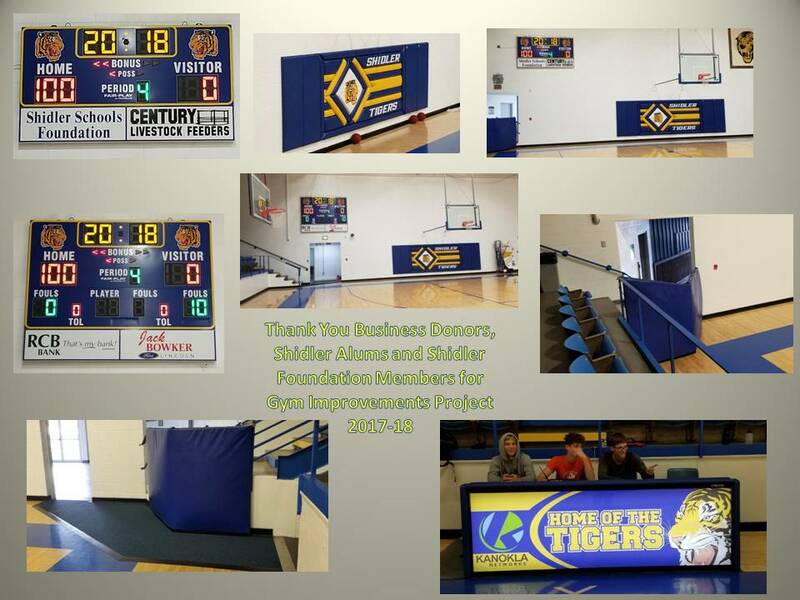 We are grateful for the Etter’s continuing support of Shidler Schools and our students. Shidler students who are at least 15 years of age by the middle of June are eligible to enroll in summer drivers education. The cost per student is $150. Cash, checks, or money orders payable to Shidler Public Schools are acceptable methods of payment. To enroll or for more information, please contact the Shidler High School office. Shown to the right is a new 2018 Chevy Equinox that will serve as our drivers education vehicle. New computers have been installed in the elementary, middle and high school labs. The high school and middle school also got a new network printer. Upgrades were made throughout the district to improve internet speed and reliability. These improvements were made possible by the Technology Bond. In collaboration with ENEL Green Energy, the Shidler School Foundation funded four classroom enhancement grants in the amount of $3,898 plus an additional $11,000 for concurrent college coursework during the 2018-19 school year. We are thankful for the support of our School Foundation and ENEL Green Energy! Gym Renovations are complete. Thanks to a $30,000 donation from the Shidler School Foundation, the gym lobby, restrooms, and concession stand area got a new floor, ceiling, lights, and restroom stalls. THANK YOU FOUNDATION DONORS! Parents, please use the online GradeBook feature to frequently check your child's grades and attendance. 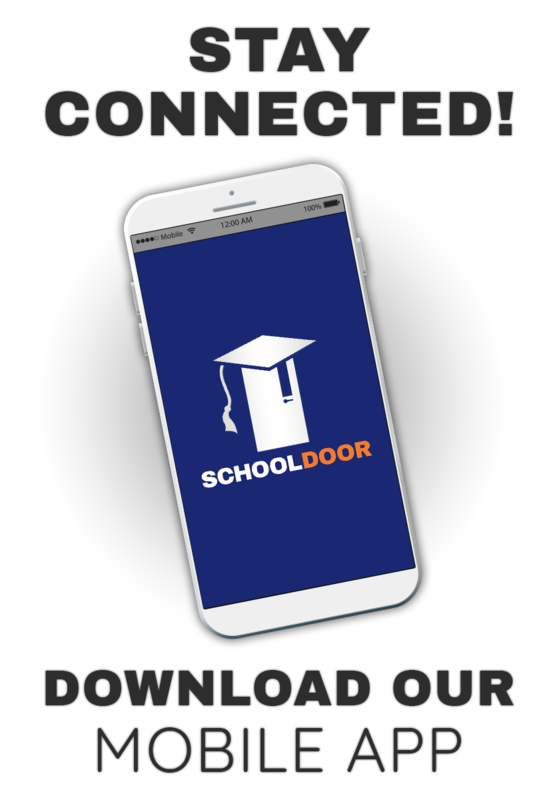 We encourage our parents to contact their child's teacher or principal anytime. 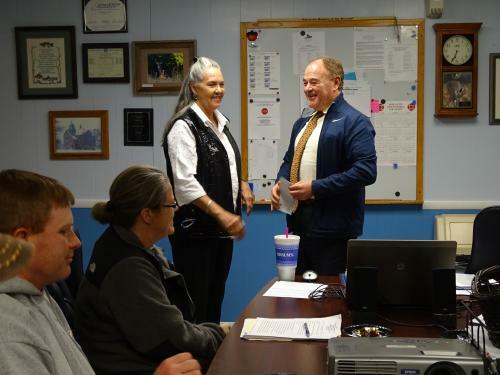 Pictured is Kaw Nation Chairwoman Lynn Williams presenting Shidler Schools with a check for $1,000. Shidler Schools is very grateful to Chairwoman Williams and to the Kaw Nation as a whole for this generous donation. We are proud of the mutual commitment that Kaw Nation and Shidler Schools shares for our students. Shidler Alum, Dr. Delores Van Camp Etter and her husband Jerry, have announced a $1,000 incentive scholarship for every future graduate of Shidler High School who enrolls and is accepted into any form of educational training beyond high school. The scholarship will pay for either college or vocational training. Dr. Etter recently told students at Shidler High School that continuing education and training beyond high school can help them secure good paying jobs and enjoy satisfying careers. 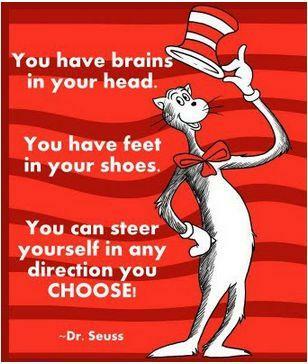 “Education,” she said, “is your ticket”. She also told students that, “post-secondary education is possible for anyone willing to commit themselves to it”. Dr. Etter went on to tell students that she believes so strongly in the power of continuing education, that she and Jerry were willing to invest the first $1,000 into each of their educational futures. The scholarship will begin with the 2019 Senior Class and continue for each graduate of Shidler for years to come. As a school district, Shidler is tremendously thankful to Delores and Jerry for their immense generosity shown by this scholarship and also for the many other times and ways they have supported Shidler Schools and Shidler Students. We are extremely proud of Dr. Etter’s distinguished lifetime accomplishments and are humbled that someone with her experiences and accomplishments would continue to return time and money to Shidler Schools, to a place where her education began. Shidler Public Schools is an equal opportunity employer.